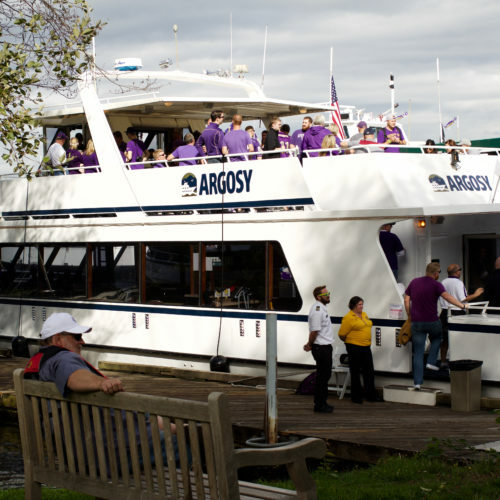 Nothing feels like fall in Seattle more than a University of Washington football home game, and Argosy offers two ways for you to enjoy the games even more. 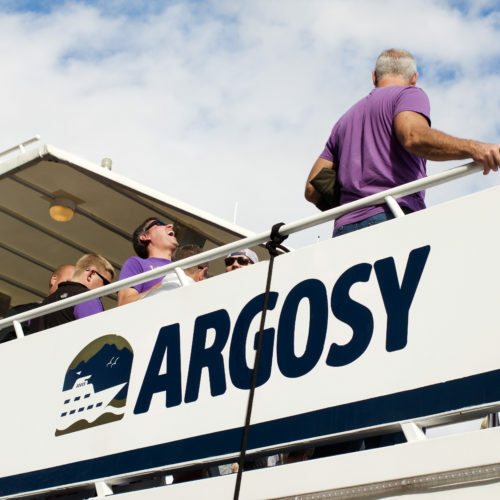 On home game days, Argosy Cruises vessels are parked dockside at Husky Harbor in Union Bay, just outside the Southeast Entrance to Alaska Airlines Field at Husky Stadium near the Waterfront Activities Center. 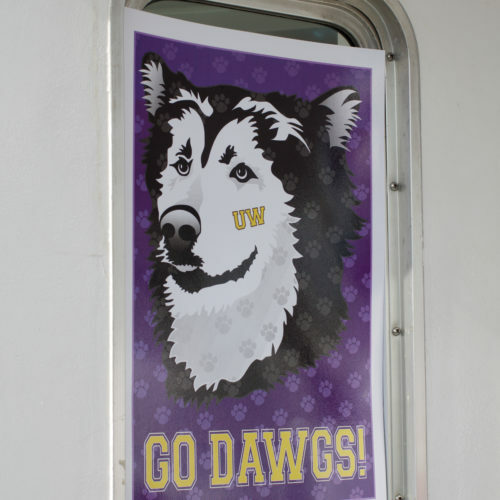 Husky fans can stop by our vessels during the game for adult beverage service and snacks. 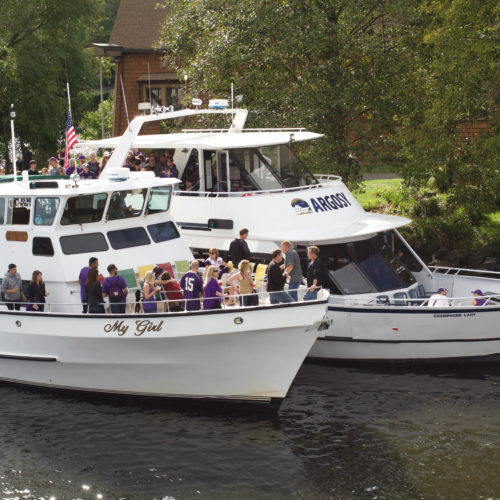 The vessels are open 45 minutes prior to kickoff until halfway through the 4th quarter. 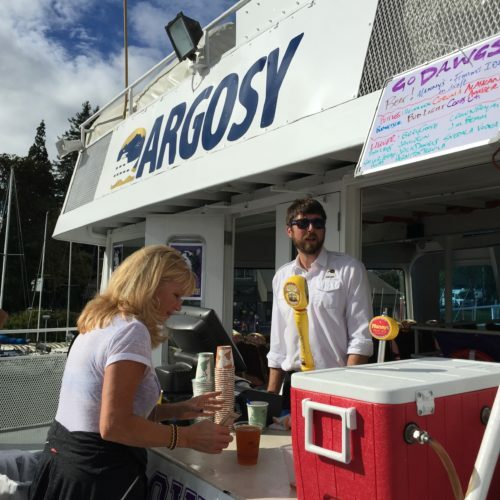 Beverage and snack service is available onboard the vessel before, during, and after the game (not included in the ticket price). 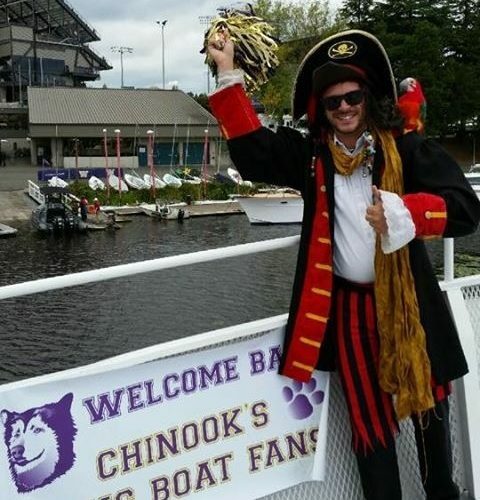 The Husky Dawg Boat departs from Chinook’s 1 1/2 hours prior to kick-off. 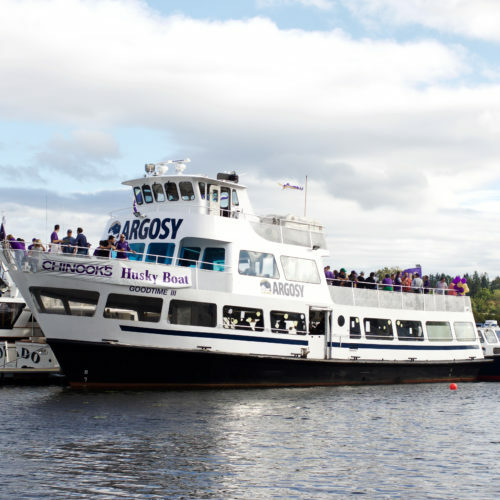 The boat leaves Husky Stadium 1/2 hour after the game ends. 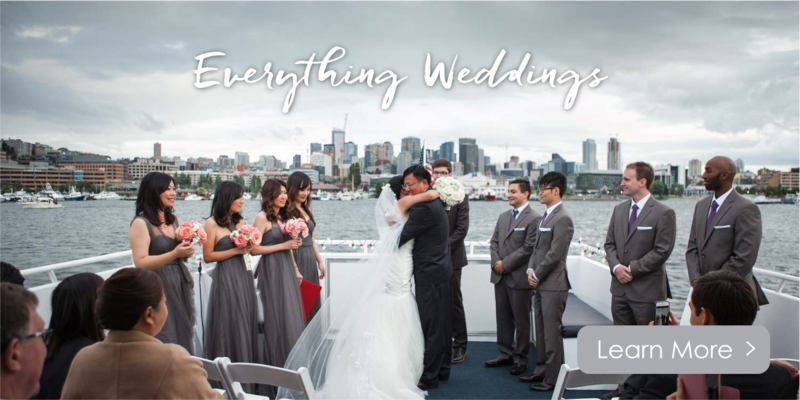 Beverage and snack service is available onboard the vessel before, during, and after the game (not included in the ticket price). 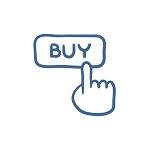 Dining begins 3 1/2 hours before kickoff. 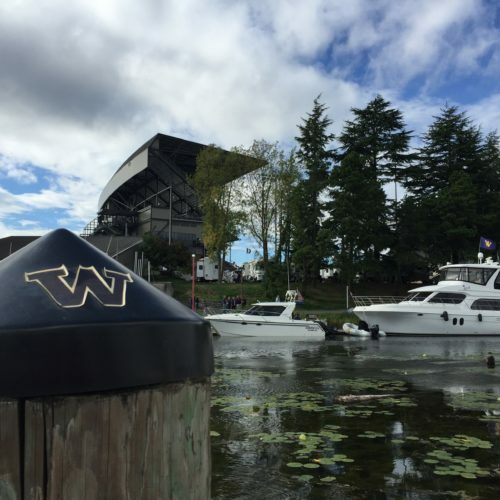 Vessel leaves for Husky Stadium 1 1/2 hours before kickoff. *Boating tickets do not include football game tickets. We had a fabulous time on the cruise, not so much at the stadium (we lost the game). 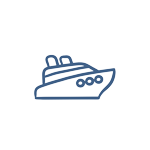 Staff was terrific – everybody loved the Sailgate.